Home / #Health / #TrueNews / Health / True News / Health :Is the Fox0 the solution for the prevention and treatment of osteoarthritis disease ? 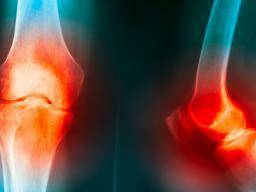 Health :Is the Fox0 the solution for the prevention and treatment of osteoarthritis disease ? A new study may have revealed a possible new prevention and treatment strategy for osteoarthritis, which is one of the most common and debilitating age-related diseases in the United States. Researchers at The Scripps Research Institute (TSRI) in San Diego, CA, reveal that proteins called FoxO are key for joint health. By boosting the levels of these FoxO proteins, they believe that it might be possible to treat osteoarthritis, or even stop the disease from developing. Senior study author Dr. Martin Lotz — from the Department of Molecular Medicine at TSRI — and his team recently reported their results in the journal Science Translational Medicine. Osteoarthritis, also referred to as degenerative joint disease, is estimated to affect more than 30 million adults in the United States, making it the most common type of arthritis. The condition is characterized by a breakdown of cartilage, which is the tissue that cushions the joints of the bones. Osteoarthritis most commonly affects the knee, hip, and hand joints. In a previous study, Dr. Lotz and team found that FoxO levels in joint cartilage are reduced. For this latest study, the researchers sought to find out more about how FoxO proteins affect joint health. The researchers reached their findings by studying mice that were lacking FoxO proteins in their joint cartilage. Compared with control mice, the scientists found that FoxO-deficient mice experienced degeneration of the joints at a significantly younger age. What is more, the rodents with FoxO deficiency showed greater susceptibility to cartilage damageduring a treadmill test, and they were also more likely to develop post-traumatic osteoarthritis due to knee injury. Upon further investigation, the scientists found that the FoxO-deficient mice showed abnormalities in a process called autophagy, which is a natural process by which cells get rid of any unwanted or damaged components in order to maintain their health and carry out any repairs. FoxO deficiency also led to abnormalities in the processes that protect our cells against damage caused by free radicals. Additionally, the study revealed that mice lacking FoxO proteins failed to produce the required levels of a protein called lubricin, which helps to protect joint cartilage against wear and tear. The reduced production of lubricin was linked to a reduction in healthy cells in the "superficial zone," which is a layer of cartilage in the knee joint. So, why does FoxO cause these issues? 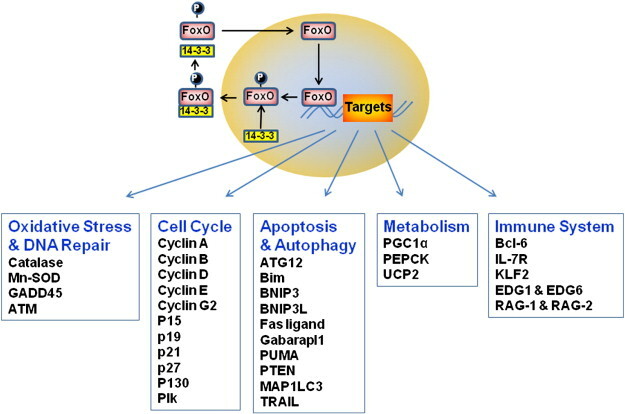 The researchers found that FoxO proteins regulate the expression of genes that are important for joint health, including those that control inflammationand autophagy. The absence of FoxO proteins in the joint cartilage leads to an increase in inflammation and a decrease in autophagy, meaning that cells are unable to repair any damage. "The housekeeping mechanisms, which keep cells healthy, were not working in these knockout mice," says Dr. Lotz. For the final part of their study, the scientists wanted to see whether boosting FoxO levels could restore these "housekeeping mechanisms." By increasing FoxO expression in cells taken from people with osteoarthritis, the researchers were able to normalize the expression of genes associated with inflammation and autophagy, and the production of lubricin was also restored. The team now plans to create molecules that can increase FoxO levels and assess their effects in experimental osteoarthritis models. "Drugs that boost the expression and activity of FoxO could be a strategy for preventing and treating osteoarthritis."